Gauranga Soft-Tech can help with design and development of embedded systems. Our clients can leverage our embedded systems expertise to develop their products, solutions and offerings. 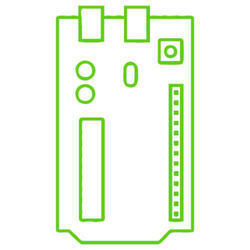 - Porting of RTOS on a custom developed hardware. We specialise in providing training on Embedded Systems, Microcontrollers, ARM architecture, RTOS, C programming, Automotive electronics, Linux. We do have customised training programmes as per requirement. 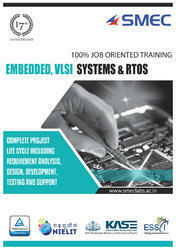 This is the beginners course to embedded system. Recommended for the students of Electrical, Electronics and Instrumentation engineering / diploma. This gives an inside out view of the embedded system development using the most famous 8051 micro controller. We are among the prominent firm for offering a wide assortment of Electrical Power System Protection Training Service to our valuable customers. These offered services are rendered by our domain experts. After rendering, the quality controller checks these services to confirm fulfill the requirements of clients. We would like to announce our premier training module "Advanced Diploma in Embedded System Design", which will stand out as a technical value addition to your career. Understanding of an embedded system. Please go through this site.. The tremendous rise in use of electronics devices in our current lifestyle has skyrocketed demand for technically-trained professionals who can work on the hidden computing devices within gadgets like smartphones, tablets, digital cameras, and computers function which are known as the embedded systems. Training programs for Electronic Engineers. - Real Time firmware developments, includes designing of the firmware from the low level interrupts based to the RTOS and more complex thread base developments. - Real Time tuning over different industry communication protocols like RS232, USB, Ethernet, SPI etc.